In this video, Bannister Academy’s way of teaching among preschool students is discussed. 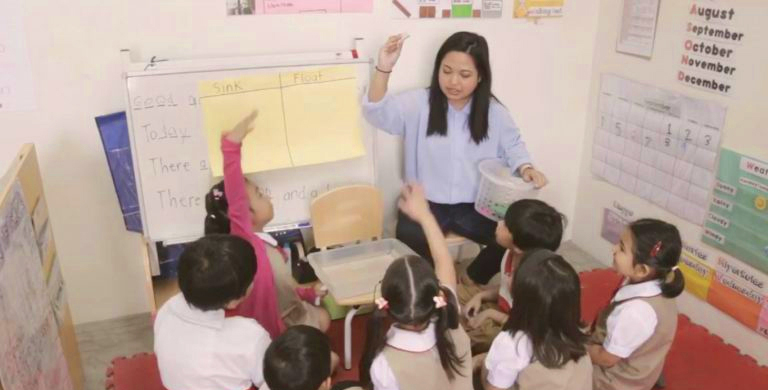 Teacher Jesy, a preschool teacher, says that playing is an important learning tool for children because they learn best through active exploration of their environment. Bannister Academy allows preschool students to play and explore the environment with their teachers and their peers. The preschool teaching approach consists of Circle Time, Specials, and Center Time. Children learn proper conversational techniques in Circle Time. In Specials, they try to learn a new concept by experiencing it. And in Center Time, children get to play while they wait to have a one-on-one coaching with the teacher.